A Selection Of Italian Publications Which Includes Best Of And End Of Year lists From The Last 20 Years. This List Was Published In 1975 From A Weekly Italian Pop-Rock Magazine. The Name Of The Magazine Is "Ciao 2001" And It Was Published In Italy From 1969 To 1988 The Albums Were From 1963 To 1975 And The List Is Of 100 Lp's. The List Is In Order Of Preference. It's A Poll Of The Readers From The Magazine. "The Magnificent Hundred", Published In Italy From The Weekly Pop-Rock Magazine "Ciao 2001" (N.25/1988, 22 June 1988). The List Is In Order Of Preference And It's A Reader's Poll. This List Was Published In December 1979 From A Monthly Pop, Rock, Soul, Jazz & Country Magazine Called "Popster". This Magazine Was Published In Italy From 1977 To 1980. 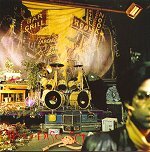 The List Is A Critics' List, The Albums Are 100 From 1970 To 1979 (The Best Albums Of The 70's) And The Order Is Chronological. This List Was Published In Year 1988 From "Epoca", An Italian Magazine (Similar At The American Magazine "Life"). This Weekly Magazine Was Published In Italy From 1936 To 1997. The Order Is Of Preference. This List Was Published In January 1989 From A Monthly Rock Magazine Called "Rockstar", Published In Italy From 1980. The List "The 100 Albums Of The 80's" Is In Order Of Preference. Published In "Rockstar" (December 2000). ›› Selected End Of Year Critic Lists From 2000 on.. This List Was Published In December 1989 From A Monthly Rock Magazine Called "Buscadero". This Magazine Is Published In Italy From 1980. The Title Of The List Is "The Best Albums Of The 80's" And The Order Is Chronological. Published In "Buscadero" February 1990. The List Is In Chrono - Alphabetical Order (For Decade: 50's, 60's, 70's, 80's) And There Are The Best Rock Albums Of All The Times. 19. Seth Yacovone Band - Dannemora/Yessir! • Neil Young – Are You Passionate? 11. Neil Young – Are You Passionate? 30.John Phillips – The Wolfking Of L.A.
16.Davide Van De Sfroos – Pica! 16.Nick Cave & The Bad Seeds – Dig!!! Lazarus, Dig!!! 9. Van Morrison – Astral Weeks Live At H.B. 41. Serena Ryder – It Is Ok? 12. Barnetti Bros Band – Chupadero! 30. Cheap Wine – Stay Alive! 20. Lowlands – Love Etc. This List Was Published In January 1990 From A Monthly Rock Magazine Called "Mucchio Selvaggio" (The Wild Bunch). This Magazine Is Published In Italy From 1978. From 1996 "Mucchio Selvaggio" Became A Weekly Publication. The Title Of The List Is "Dirty Eighties" (Best Albums Of The '80) And The Order Is Chronological. • Nick Cave & The Bad Seeds – Dig!!! Lazarus Dig!!! • Naomi Shelton & The Gospel Queens – What Have You Done, My Brother? • John Legend + The Roots – Wake Up! • Mauro Ermanno Giovanardi – Ho Sognato Troppo L’altra Notte? • Godspeed You! Black Emperor - Allelujah! Don't Bend! Ascend! • Flying Lotus - You're Dead! • Edda Stavolta - come mi ammazzerai? • Bill Fay - Who Is The Sender? • Calibro 35 - S.P.A.C.E. 2 Kendrick Lamar - DAMN. 25 The Dream Syndicate - How Did I Find Myself Here? 54 Cesare Basile - U fujutu su nesci chi fa? 72 Godspeed You! Black Emperor - "Luciferian Towers"
Published In February And March 1990 From A Rock Magazine Called "Velvet". This Magazine Was Published In Italy From October 1988 To 1991(About). In This List, "Best 100 Albums Of The 80's", The Order Is Alphabetical (From 1 To 20, From 21 To 100). 3. Tiziano Tononi-We Did It, We Did It! 3. Tipsy - "Uh Oh"
3. Nexus Orchestra 2001 Seize The Time! • Heike Has the Giggles – Sh! • Milva – Non conosco nessun Patrizio! 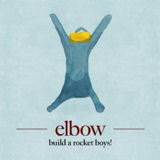 1 Elbow - Build a Rocket Boys! 21. Missy Elliott – This Is Not A Test!